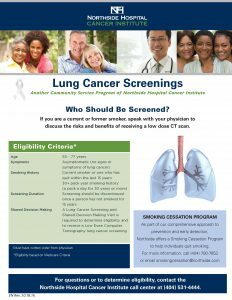 Northside Hospital Cancer Institute is conducting Lung Cancer Screenings. 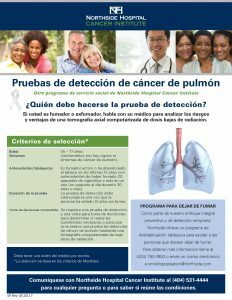 If you are a current or former smoker, speak with your physician to discuss the risks and benefits of receiving a low dose CT scan. 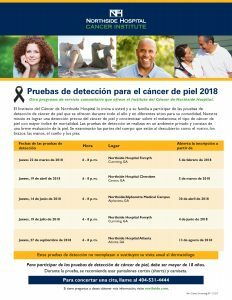 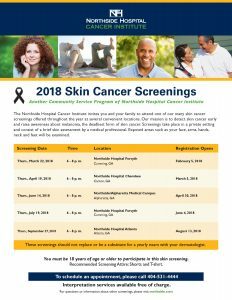 The Northside Hospital Cancer Institute has released their dates for the 2018 Skin Cancer Screenings. 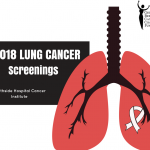 These screenings will be on March 22, April 19, June 14, July 19, and September 27. 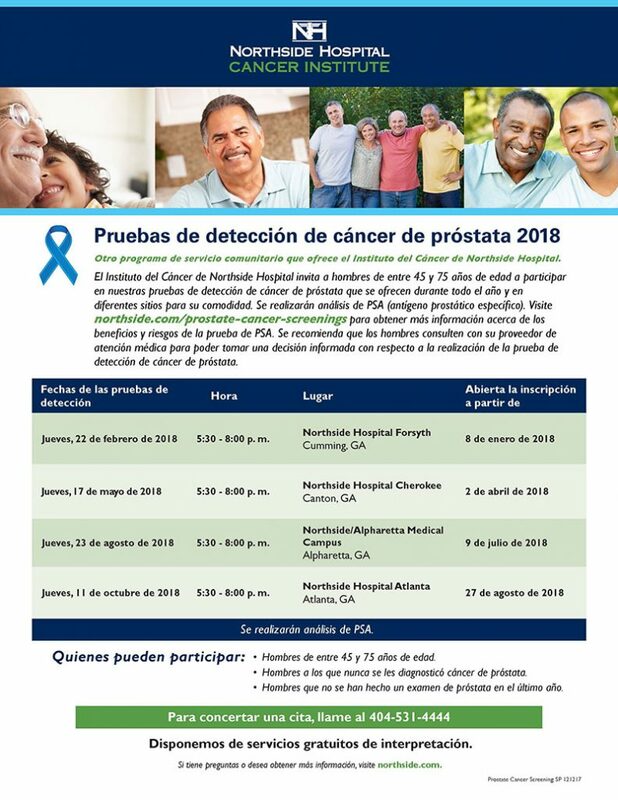 Patients must be 18 years of age or older to participate. 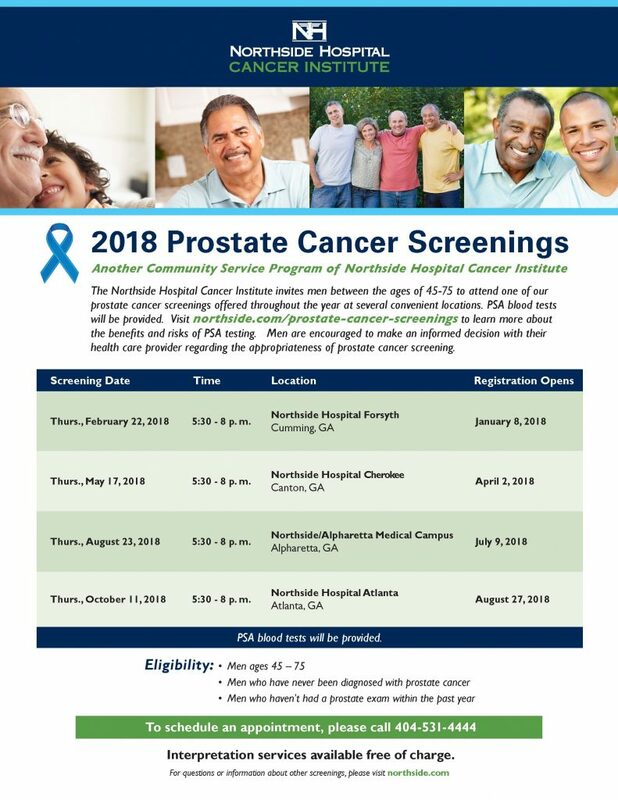 The Northside Hospital Cancer Institute is holding Prostate Cancer Screenings on February 22, May 17, August 23, and October 11. 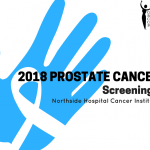 These exams are for men ages 45-75 who have never been diagnosed with prostate cancer and who have not had a prostate exam in the last year. 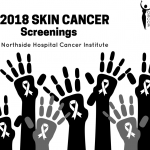 For questions and detailed information about screening visit www.northside.com.